A couple weeks ago, J and I stopped to pick up dinner at Penn Station after a trip to the hospital. J had been saying that we needed to make a run to Sawall’s to get some Raspberry Leaf Tea. I kept forgetting about it, but when we pulled in to the parking lot at Penn Station, I noticed a store that I thought may have what she was looking for. 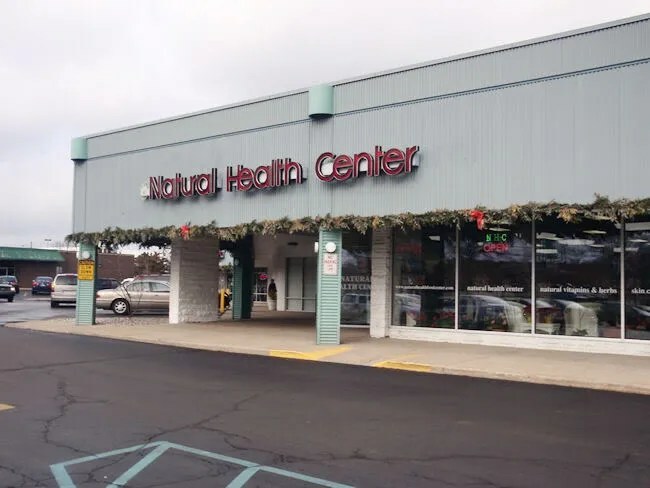 Natural Health Center is a family owned business on the corner of West Main and Drake in the Westwood Plaza. The store stocks natural healthy foods, supplements, and beauty products. The first time we walked in to the store two weeks ago, we were lost. We were looking for a couple things, but had no idea where to find them. We started searching the shelves until an employee noticed the confused looks on our faces. He asked what we were looking for and when we told him, he did our shopping for us. He disappeared around the corner and came back with everything we needed. 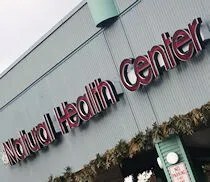 When we went today, we were a little more familiar with the store and were able to find what we were looking for without the help. If you’re going to compare the store to Sawall’s, you’re going to notice that it’s much smaller. That doesn’t mean they don’t have a large selection of things though. J has taken a liking to the candy aisle and picks up a couple bags on every trip now. Knowing that I eat a lot of greasy bar food, you should have figured out that “health food” isn’t really my thing. There are times that we need things from a store like this and it’s good to know that there’s a place not too far away where we can get everything we need.